Overshadowed by Michael Jackson’s death, turmoil in Iran, and Bernie Madoff’s sentencing, was the tragic death of Billy Mays: internationally renowned infomercial pitchman. More than a man. More than a marketing genius. More than a skilled orator. He was also the proud owner of the thickest, darkest beard on the planet. I’m not sure if one of the products he sold made his beard as black as the distant depths of space. My hunch is that Mr. Mays – along with his tremendous charisma and knack for finding innovative products – was born with that beard. Or more precisely, born with the exact combination of genes that lead to incredibly thick and luxuriant facial hair. It’s a strange coincidence that just yesterday I was watching Discovery Channel’s “Pitchmen,” about Billy Mays and fellow infomercial guru Anthony Sullivan. I spent a small portion of time learning about the new products they were trying to sell, and much more time marveling at Billy’s beard. I’m certain, that under high magnification one could discern the individual hairs that compose the beard. 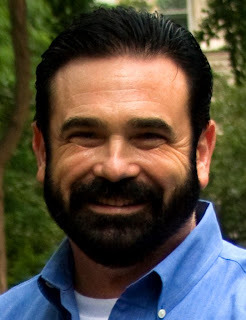 But on TV, and from a distance of several feet, Billy Mays looks like a man painted with coal dust – from the blackest, purest, most carbon-rich coal this side of the Appalachians. As I watched the show, I was unable to comprehend how light could possibly escape from such a dark, dense beard. And in fact, I think that’s the point: Light doesn’t escape from Billy Mays’s beard. It never could. 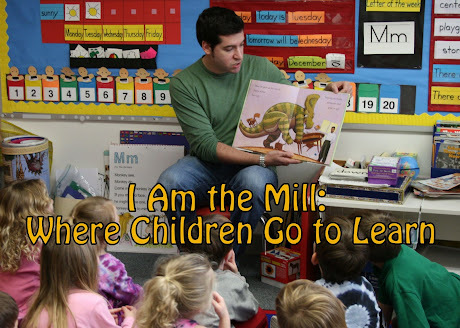 And now, tragically, it never will. I hypothesize that the light entering Billy’s beard was absorbed into his face and skull, exiting his head through his mouth, in the form of high-energy sales pitches. His beard was his strength – much like Samson’s hair, or Madonna’s cone bra. Billy’s beard was a gift from the gods – a miracle, much like Orange-Glo, Oxi-Clean, and Mighty Putty; except much, much darker than any of those products. But could a normal man wear that beard like Billy Mays? Wouldn’t an average man get tired of trimming it every 2 hours, and just shave the whole thing off? And that’s only part of the reason why Mr. Mays was not your average man. He was an exceptional human being, in terms of talent, intelligence, perseverance, generosity, and sheer darkness of facial hair. So take a moment to remember Billy Mays’s life and beard. He passed on before his time was up, but he left behind a great many happy memories. If you get to crying, I highly recommend the super-absorbent Shamwow. It can absorb a gallon of spilled milk from the carpet, and still be able to dry your tears.